Indianapolis, Indiana – Attorneys for Heartland Consumer Products LLC and TC Heartland LLC (collectively “Heartland”), of Carmel, Indiana, filed suit in the Southern District of Indiana in April of 2017 alleging that Defendants, DineEquity, Inc., Applebee’s Franchisor LLC, Applebee’s Restaurants LLC, Applebee’s Services, Inc., International House of Pancakes, LLC, IHOP Franchisor LLC, IHOP Franchising LLC, and IHOP Franchise Company, LLC all of Glendale, California; infringed its rights in some or all of United States Trademark Registration Nos. : 1544079, 3346910; 4172135, 4165028, 4301712, 4172136, 4165029,4122311, 4187229, 4202774, 4230392, 4238101, 4106164, 4664653, and 4744600 (SPLENDA IP”). 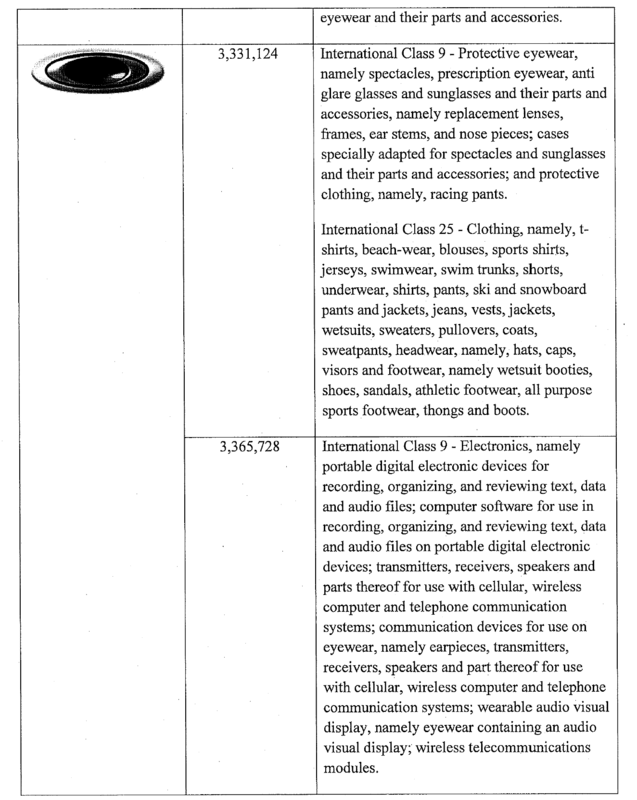 In addition, at the time they filed their Complaint, HEARTLAND was the owner of the following applications for United States Trademark Registration Serial Nos. 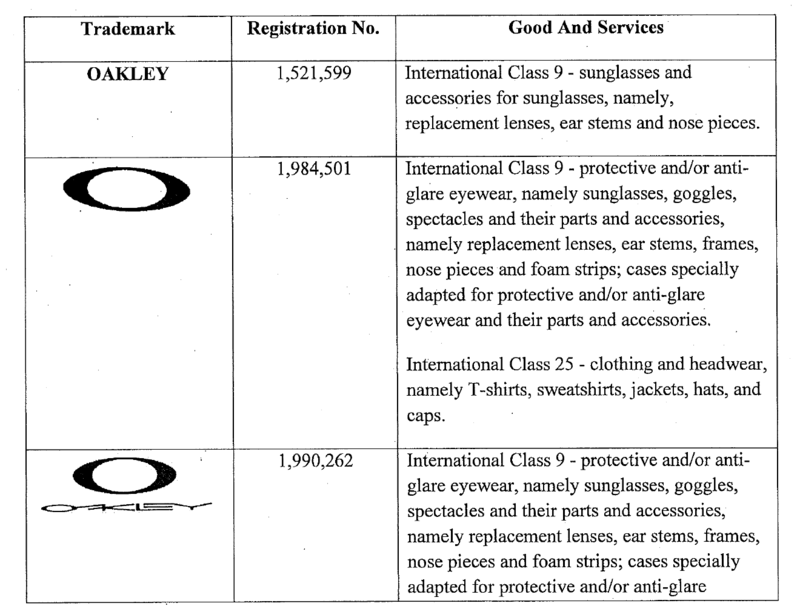 86865337, 87012521, and 87010504, two of which are still “LIVE” trademarks. The suit settled in October 2018. SPLENDA® is a low-calorie sweetener using sucralose that is a compound made from sugar. With the FDA approving sucralose for use in food products and food preparations in 1998, SPLENDA® was at the forefront of the market coming out in 1999 and launching in retail stores across the United States in September 2000. SPLENDA® is well-known and famous for their yellow-colored packaging which has been used continuously since the brand began using that color. Plaintiffs claimed that the Defendants misappropriated the SPLENDA IP to deceive consumers and were actually providing consumers with a lower-quality product from China. For instance, some people working at IHOP and Applebee’s restaurants would orally affirm to customers that the yellow packets provided did in fact contain SPLENDA ® even though they did not. Plaintiffs alleged in their Complaint trademark infringement, false designation of origin, unfair competition, and trademark dilution. They were seeking preliminary and permanent injunctive relief, corrective advertising damages, Defendant’s profits, and costs among other damages. The Parties have settled outside of court as of October 2018. 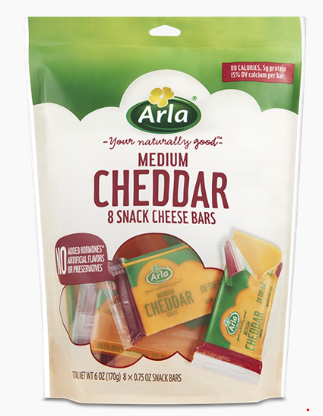 Eli Lilly & Company and its subsidiary, Elanco US Inc., both of Greenfield, Indiana, filed suit in the Eastern District of Wisconsin alleging that Arla Foods, Inc. USA of Denmark, and Arla Foods Production LLC a Delaware Corporation used false advertising and unfair business practices in regards to Arla brand cheeses. In 2017, Arla Foods launched a $30 million advertising campaign focused on expanding its cheese sales in the U.S. These advertisements included ads featuring a seven-year-old girl describing recombinant bovine somatotropin (“rbST”), an artificial growth hormone used to treat cows, as a type of monster. The ads implied that milk from cows that were treated with rbST was unwholesome and unnatural, therefore not good for your family. Elanco makes the only FDA-approved rbST supplement, marketed under the name Posilac®. After the Arla campaign launched, Elanco filed suit alleging that Arla was in violation of the Lanham Act and simultaneously moved for a preliminary injunction with supporting copies of ads, evidence that a major cheese distributor decreased its purchasing of rbST in response to the ad campaign, and scientific literature pertaining to rbST’s safety. The district judge issued the requested injunction and later modified the injunction to cure technical deficiencies. Indianapolis, Indiana – Attorneys for Plaintiff, Barrington Music Products, Inc. of Niles, Michigan filed suit in the Northern District of Indiana alleging that Defendants, Music & Arts Centers of Bel Air, Maryland, Guitar Center Stores, Inc. of Westlake Village, and Eastman Music Company of Pomona, California infringed the rights in Trademark Registration Numbers 3,831,402 and 3,831,403. Plaintiff sought actual damages, punitive damages, attorney’s fees and costs, prejudgment interest, and any other relief. Indianapolis, Indiana – Attorneys for Plaintiff, Muscle Flex, Inc. of Los Angeles, California filed suit in the Southern District of Indiana alleging that Defendants, Simon Property Group, L.P, and Simon Property Group, Inc., both Delaware corporations; Matt Murat Dagli, an individual who resides in Texas and owner of New Purple LLC, a Texas limited liability company, infringed its rights in United States Trademark Registration No. 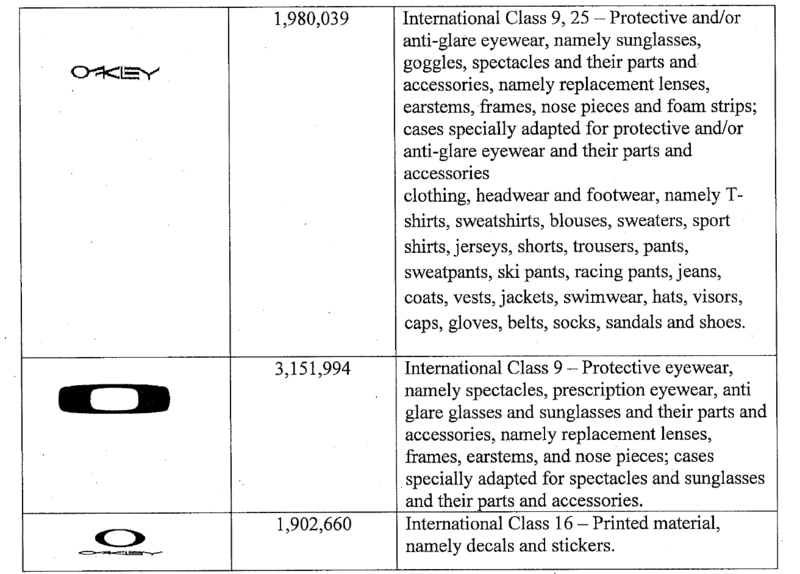 4,188,135 for “WORLD OF LEGGINGS.” Plaintiff is seeking damages, judgment of infringement, an injunction on the Defendant’s use of the trademark, and recall and destruction of all infringing items. Plaintiff is a California-based corporation that operates retail stores that specialize in women’s leggings and clothes. These items are marketed under the name “World of Leggings.” According to the complaint, the Plaintiff has invested considerable time and money into developing the World of Leggings brand. Marilyn D. Mintz of Northern California, had filed a Trademark infringement lawsuit in the U.S. District Court, Northern District of California alleging that Subaru of America, Inc., a New Jersey Corporation with place of Business in the State of New Jersey, infringed a phrase and design trademarked by Plaintiff. 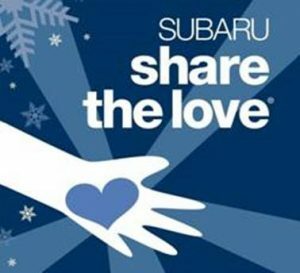 Defendant Subaru, which has a large manufacturing presence in Lafayette, Indiana, ran an ad campaign with the slogan “Share the Love.” Plaintiff alleged that this infringed her trademarked phrase, “A World of Love, for You and Those You Love.” In the ad campaign, Plaintiff also used a graphic design showing a hand with a heart on it. Plaintiff alleged that this infringed a similar design she trademarked. 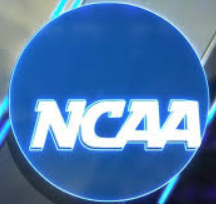 Indianapolis, IN – The National Collegiate Athletic Association had filed a Trademark infringement lawsuit in the Southern District of Indiana alleging that Kizzang LLC, infringed trademarks registered by the NCAA. A recent Order signed by Judge Jane Magnus-Stinson grants the National Collegiate Athletic Association’s Motion for Default Judgment and Motion for Permanent Injunction against Defendant, Kizzang LLC. The NCAA sued over Defendant’s use of the terms “Final 3” and “April Madness,” which Plaintiff alleges infringe on the trademarked phrases “Final Four” and “March Madness,” which are commonly used to refer to the annual men’s college basketball championship tournament. Miami, Florida – Attorneys for Plaintiff, Honus Wagner Company, filed suit in the Southern District of Florida alleging that Defendants, Luminary Group LLC and Leslie Blair Roberts used the Plaintiff Honus Wagner’s name as an infringement to the Trademark “HONUS WAGNER.” The US District Court for the Southern District of Florida has granted the Defendants Motion to Dismiss for lack of personal jurisdiction. 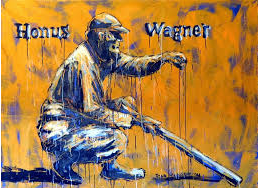 Plaintiff alleged that, based on a chain of sales and succession, “it owns common law rights in the Honus Wagner name and mark.” Wagner was a famous baseball player for the Pittsburgh Pirates in the early 20th century. Some of Wagner’s trading cards are among the most valuable pieces of sports memorabilia in the world. Indianapolis, Indiana – Attorneys for Plaintiff, Kimball International, Inc. of Jasper, Indiana filed suit in the Southern District of Indiana alleging that Defendant, Jasper Seating Company, Inc. d/b/a Community of Jasper, Indiana infringed its rights on the Indiana State Trademark Registration No. 2017-0052 for the mark “JEWEL.” Plaintiff is seeking an injunction, damages, lost profits, attorneys’ fees and costs, and any other relief the Court seems just. Plaintiff is an Indiana corporation that manufactures furniture for offices, schools, healthcare facilities and hotels. According to the complaint, since August 2015 the Plaintiff has manufactured a line of chairs under the “JEWEL” trademark. Plaintiff has sold the chairs across the country and registered the trademark with the Indiana Secretary of State. Evansville, Indiana – Attorneys for Plaintiff, SCLC, Inc. of Evansville, Indiana filed suit in the Southern District of Indiana alleging that Defendants, Marie Kettering of Trenton, New Jersey, and Lanny Tyndall of Enfield, Gansu, Canada, infringed the rights of SCLC. Plaintiff is se eking a nationwide injunction, compensatory damages, and attorneys’ fees. 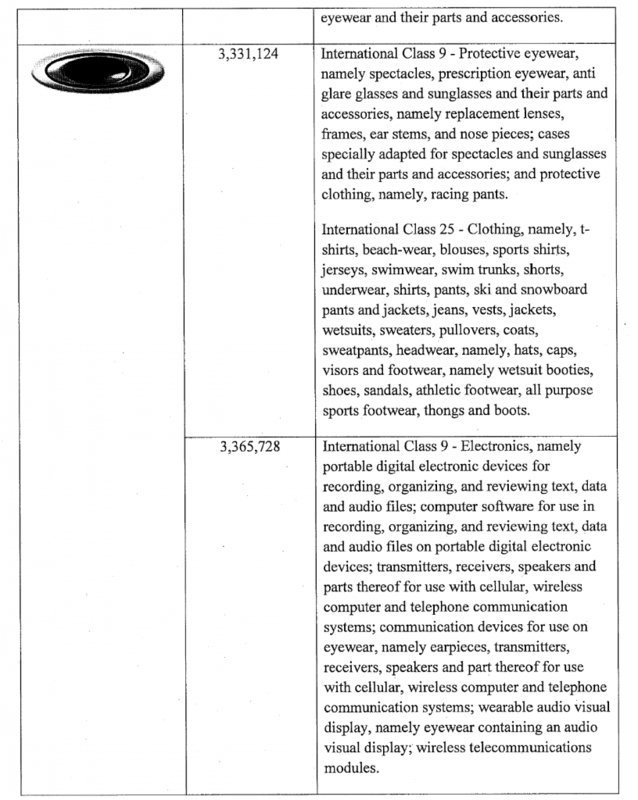 Plaintiff owns the rights to the “Shoe Carnival” trademark, and owns and operates shoecarnival.com. The complaint alleges that the Defendants operate shoe sale websites that infringe upon the trade dress of the Shoe Carnival website, and infringe upon the Shoe Carnival trademark by displaying the registered mark on the websites. Specifically, the Defendants’ websites mimic the “look and feel” of Shoe Carnival’s website, including the layouts, placement of photos, borders, frames, colors, and overall impression. Further, Plaintiff alleges that the offending websites used the “Shoe Carnival” registered mark without permission in an effort to generate sales, which Plaintiff claims has caused consumer confusion. Practice Tip: Although the Plaintiff alleges personal jurisdiction over the Defendants in the complaint, they do not allege any specific facts, such as infringing sales, which occurred in Indiana. This may cause issues for the Plaintiff in trying to secure personal jurisdiction over the Defendant. In a similar case in 2014, the United States Court of Appeals for the Seventh Circuit ruled that an out-of-state business accused of trademark infringement did not have sufficient contacts, arising out of the accused activity, with Indiana to subject it to personal jurisdiction in the state.